Let’s get something straight, first up. 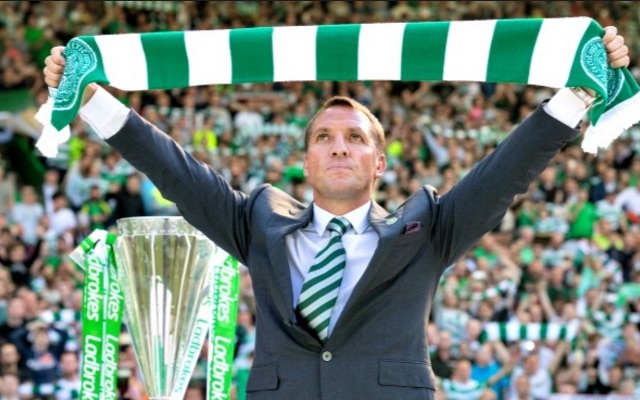 We’re delighted Brendan Rodgers is doing so well north of the boarder with Celtic. We felt the criticism he got towards the end of his Liverpool reign was grossly unfair and that many of the comments regarding his tenure have been downright disrespectful considering the manner in which he tried to carry himself while in charge. The Bhoys are currently storming the SPL and picked up a tasty result in the Champions League against Manchester City. But sometimes, the Northern Irishman doesn’t help himself! Today, he’s claimed that Scott Brown would have easily gotten into his Liverpool team of 2013/14 that came within inches of title glory. “He’s someone I’ve been so impressed with since I first met him in my house earlier on in the season,” Rodgers told the Glasgow Evening Times. “Scott’s just really devoted himself to how I’ve wanted the team to operate on the field and off it. “You guys will have seen him more consistently than me. But if he was playing at a better level than he’s at just now, both physically and tactically, then I would be surprised. “The biggest compliment I can give him is that, having worked in what is supposedly is the best league in the world, Scott Brown, if I look at my Liverpool team that nearly won the title, he would definitely have been in it. “There’s no doubt about that, so that’s the level that the guy is at as a player and as a captain, you want him in your team and on your side. “It’s the biggest accolade I can give Scott. It’s obviously absolutely fine for Rodgers to praise his skipper, but would Brown really have got into that brilliant side…? Let’s take a look. Liverpool played a midfield diamond that campaign, with Raheem Sterling at its peak and Luis Suarez and Daniel Sturridge up front. Steven Gerrard (Premier League Team of the Season that year) anchored the midfield, with Jordan Henderson to the right and usually Coutinho to the left. Sometimes Joe Allen or Lucas played instead. But come on… would Brown ‘definitely’ have been it? He’s not taking Gerrard or Henderson’s place, and he lacks the guile of Coutinho or Allen. These claims, for us, are bogus!